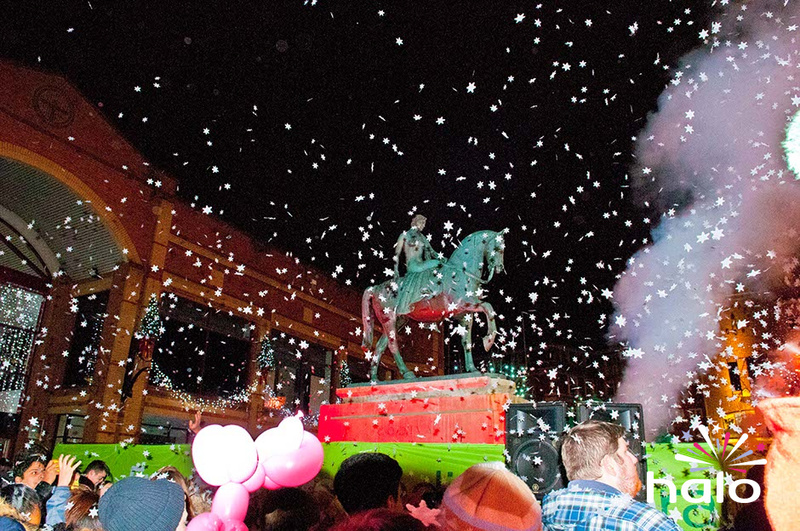 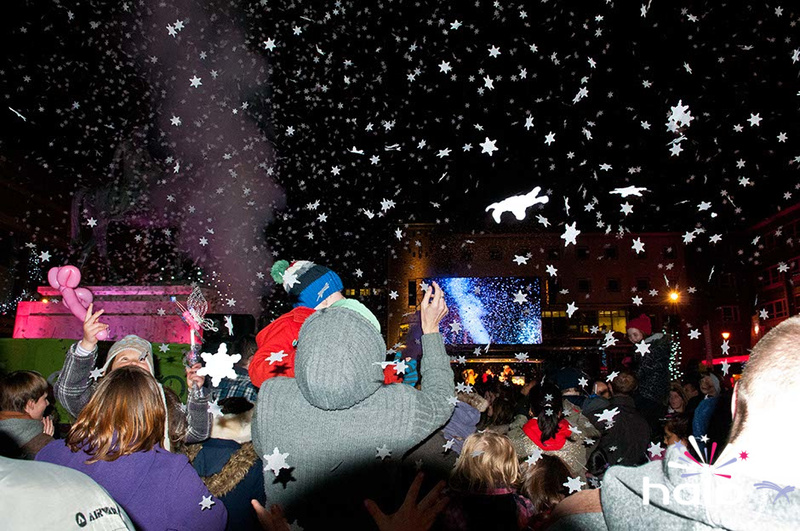 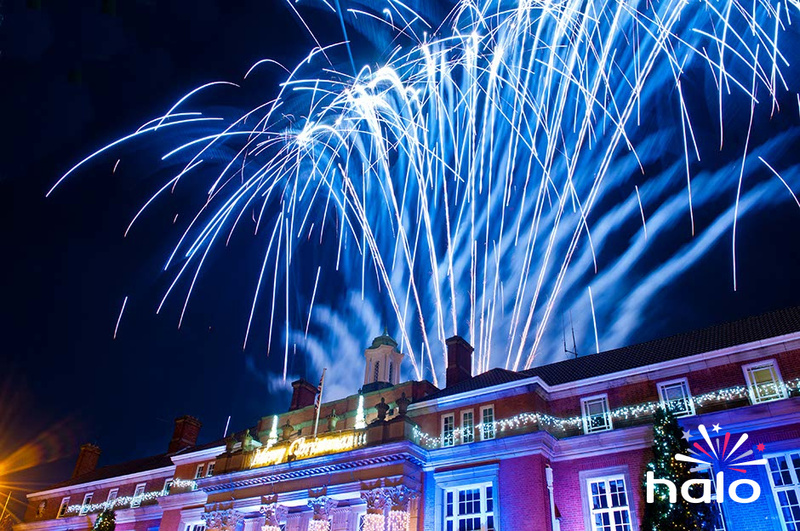 Halo FX have a great deal of experience in providing integrated fireworks, stage pyrotechnics, snowflake confetti and theatrical lighting displays for Christmas lights switch-on events. 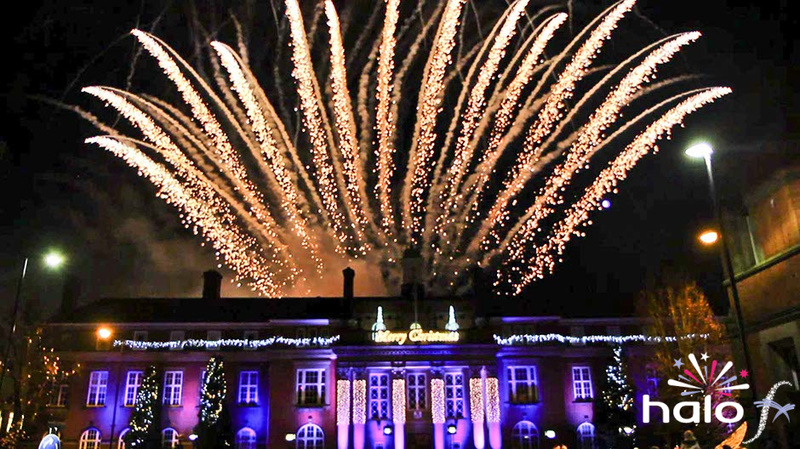 Working in town or city centre locations demands attention to detail to both the creative design of the show and the safety aspects. 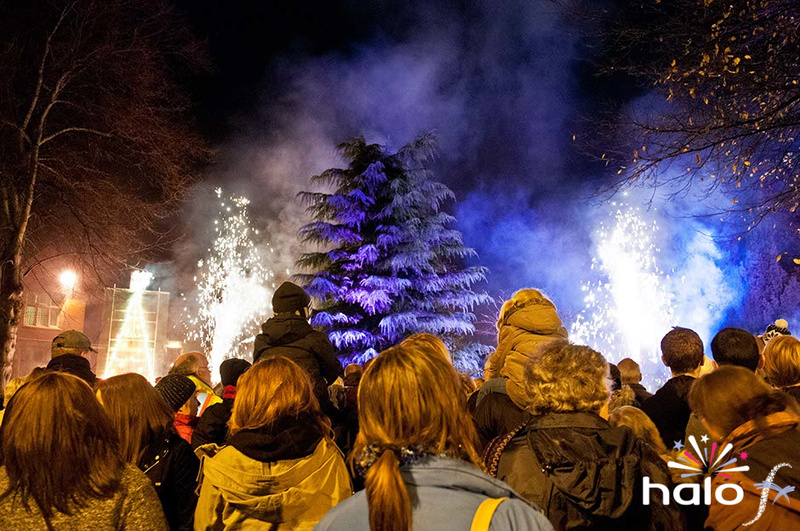 In recent years Halo FX have transformed a number of Christmas Lights events; making them considerably more entertaining, and at the same time significantly safer.